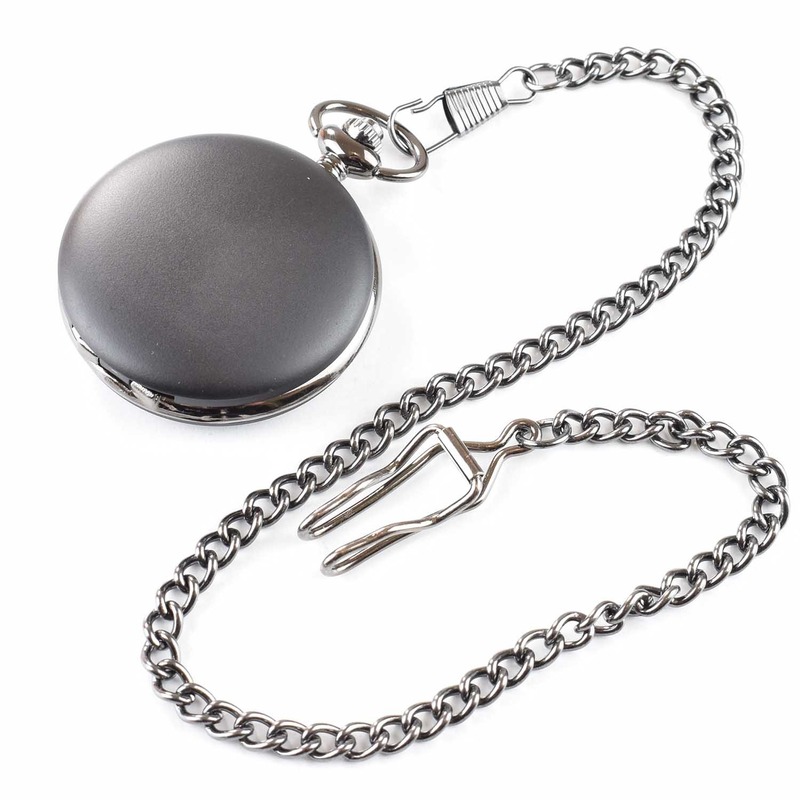 A classic black pocket watch; a wonderful design and is sure to be appreciated by the recipient of your gift. 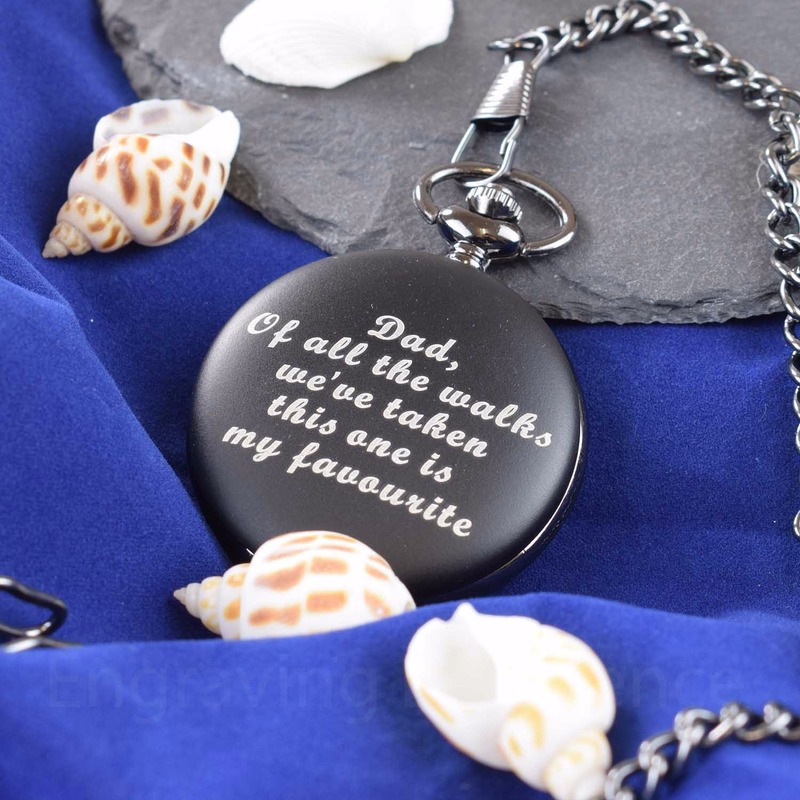 They make an excellent present for any occasion but are particularly popular as wedding gifts for the Groom, Best Man, Father of the Bride/Groom. 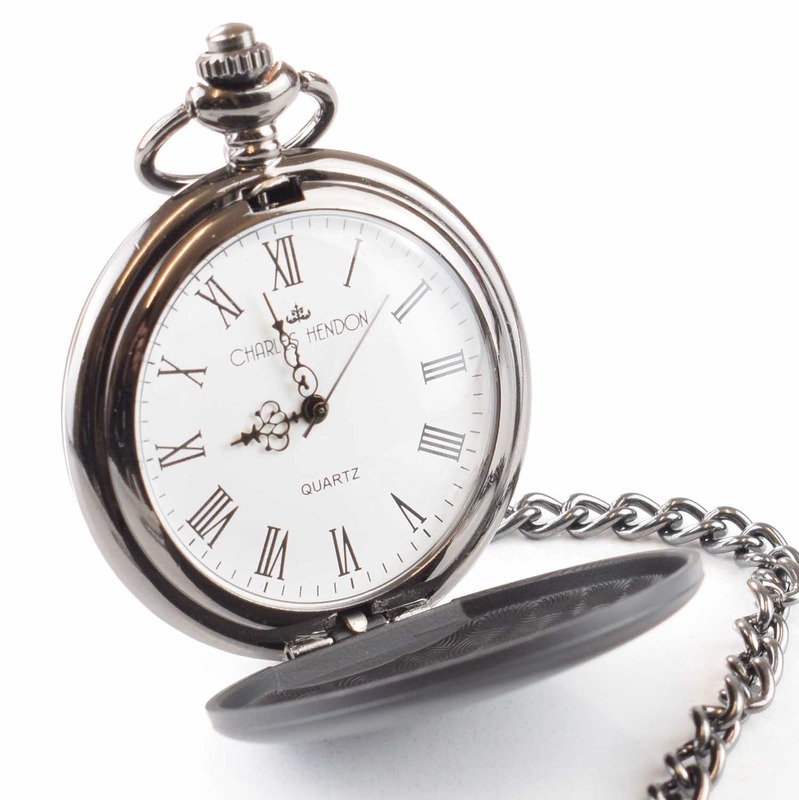 On this watch we engrave up to 5 lines of 22 characters each (including spaces). Please check your spelling carefully, as we engrave exactly what you send us.